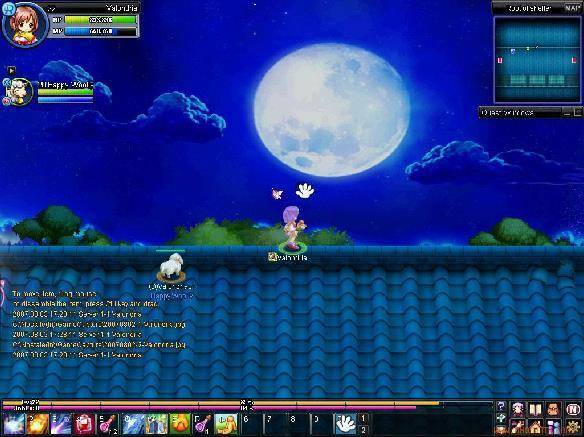 NosTale is a free to play anime fantasy MMO RPG where players journey across a fantasy land in search of adventure and exciting stories. The game has wonderfully created cartoony 3-D graphics where players can rotate their camera angle for a full 3-D gameplay as well as zooming in and out their character for fall camera control. With colourful and visited graphics and exciting and friendly music there is a happy atmosphere in NosTale that is only further enhanced by the thriving community of players. Players are able to customise their own character with gender, hair style and hair colour options as well as selecting their own class between the close combat Swordsman, ranged and agile Archer or powerful elemental Mage. Each class type has their own combinations of gear and skills that they can utilise in combat as well as some specialisation options further down the line. The Swordsman can become a Warrior, Blade, Crusader or Berserker. The Archer can become a Ranger, Assassin, Destroyer or Wild Keeper. The Mage can become a Red Mage, Blue Mage, Holy Mage or Dark Gunner. The game focuses mostly around PVE and players completing quests, of which there are many different types. The main story arc stretches across the entirety of the game and is broken down into various acts, with each act divided into different episodes that players must work through to unlock the main storyline. Players can gain secondary quests through sound flowers that can be gained either from defeating a monster or at the end of a time-space, these quests are typically hunting or collection quests and are completely optional. For more challenging quests players can try to hunt down specialists cards, seeking out the mysterious soul gems to gain exciting rewards. NosTale is an extremely social game with a number of social elements and features built into it including a marriage system where two players can get married and have their own celebration including take on fireworks, trading between other players or even opening up your own private shop to deal with members of the public. Finally the family system enables players to create their own Guilds where family members can join a family raids, enter rainbow battles, have their own private family chat and even enter the Land of Death. Founding your own family isn’t easy and cost a lot of in game money to do so, so only the most committed groups will have one.